As the first-generation American daughter of Belarusian immigrants, chef Bonnie Frumkin Morales has a unique view on the culture and food of the former Soviet Union. Bonnie honed her skills in several of New York and Chicago’s Michelin starred restaurants. Bonnie and her husband Israel opened Kachka to much critical acclaim in 2014, receiving accolades from publications such as Bon Appétit, The Wall Street Journal, The New York Times, GQ, Elle, Zagat's, and Food & Wine. Bonnie lives in Portland, Oregon. 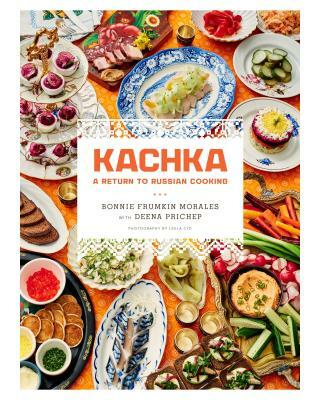 Kachka: A Return to Russian Cooking is her first cookbook.